Local NHS and Asda staff brought the national NHS 70th celebrations to shoppers in Bootle. 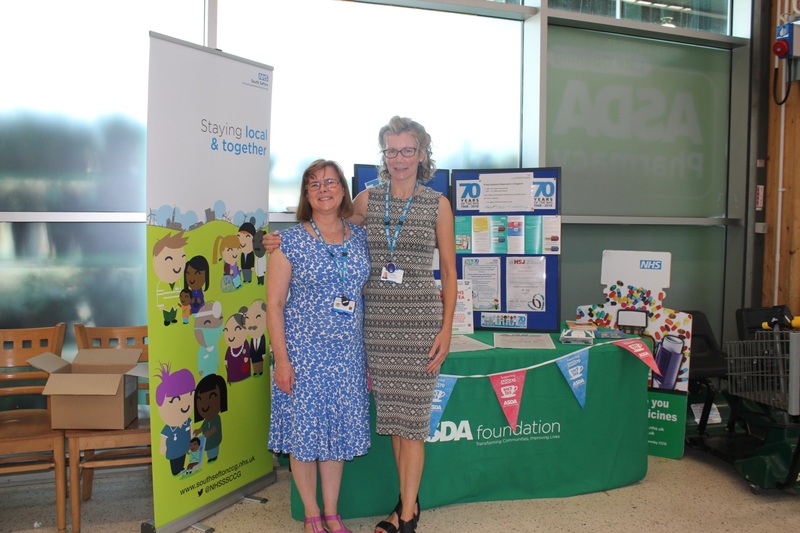 Staff from NHS South Sefton Clinical Commissioning Group (CCG) held a morning roadshow in Bootle’s Asda on the NHS’ Birthday (5 July). Local people were able to share their experiences of the NHS in the past, present and importantly find out about future plans for local healthcare. Many shoppers also signed up to receive regular updates from their local CCG. A pharmacist from the CCG’s team was on hand to answer patients’ questions about staying healthy and managing their medication effectively. Asda in Bootle also donated cakes to the CCG’s staff to help mark the anniversary and to say thank you for the hard work and dedication of NHS staff. Dr Craig Gillespie, acting chair of NHS South Sefton CCG, said: “We would like to thank everyone at Asda and the local shoppers who took part in our NHS 70th celebrations. This year marks the 70th anniversary of the NHS and is the perfect opportunity to celebrate the achievements of one of the nation’s most loved institutions and to appreciate the vital role the service plays in our lives. It is also a time to recognise and thank the extraordinary NHS staff – the everyday heroes – who are there to guide, support and care for us, day in, day out. The NHS 70th celebrations will continue locally with an NHS@70 Big Chat/Annual Review event on Thursday, 27 September 1- 4.30pm at Bootle Cricket Club. A marketplace is being organised by the CCG to showcase local health services, share information on the future of the local NHS and give people the chance to have their say.